Christmas Performer Workshops – Putting the Heart in our Christmas Art! Putting the Heart in our Christmas Art! Contact santa@santatrue.com for how you can bring CPW out to your group! Christmas Performing is a unique art. Few performers will have their audience climb into their lap one moment and be as big as a parade route the next. As our profession grows and develops, there will be a demand for Christmas Performers who can bring a variety of entertaining skills: storytelling, singing, acting, improv, mime, character work, and so much more. 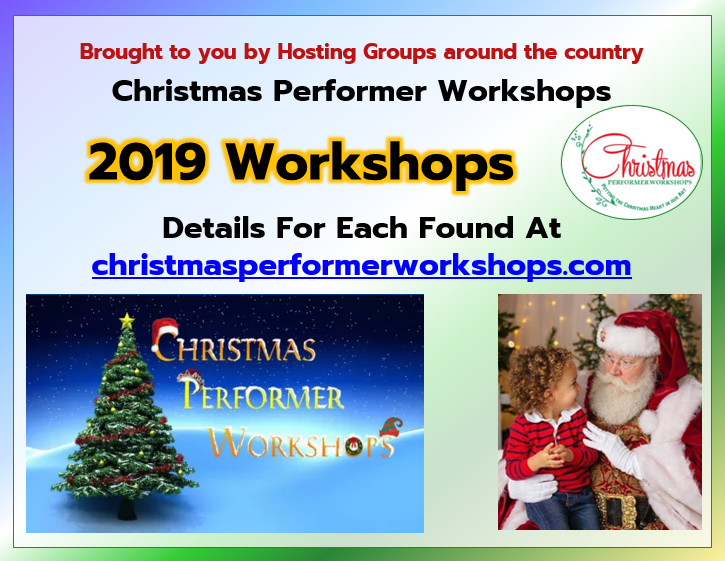 Christmas Performer Workshops (CPW) is about helping you bring it to next level, to help you develop your own unique offerings, and save you time on your journey as an “A-List” Performer. The truth is that no weekend workshop is going to help you develop amazing performing skills. Like any art form, these skills take investment, time, and practice to develop. That said, your average performing arts teacher is not going to know the idiosyncrasies of our Art Form. CPW has a big advantage. We start from a Reenactor / Storytelling background and add the experience as a Christmas Performer. This is probably the best fit when we look at the variety of skills it takes to make a Christmas Character come to life! When you book one of our workshops, classes, or sessions, we help you save time, money, and help you find the specific resources, knowledge, and training you need. There are different kinds of Santa Schools out there. Many of them provide the starter information for someone new to the community, new to owning a business, or trying to understand the breadth of the job. At CPW, we specialize in bringing the In-Depth Study of Performance Skills, especially designed for both the Seasoned Professional who wants to sharpen their skills and learn new methods for being the best Santa or Mrs Claus possible or the newer member of the Christmas Performer Community who wants to start with more than tips on the look and the business details. Know How and Know Who! 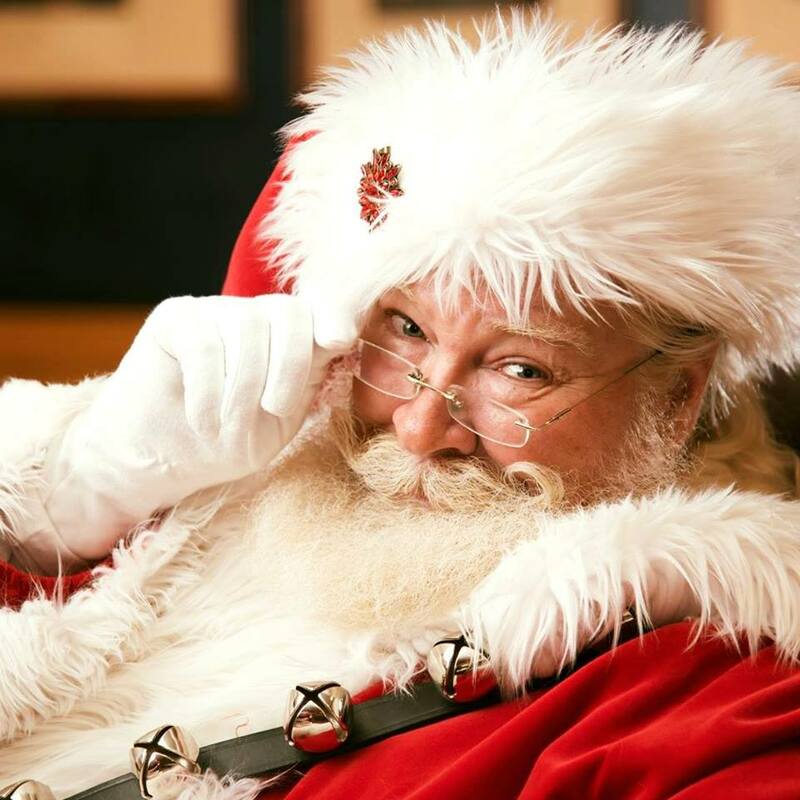 Santa True, aka Robert Seutter, has over 30 years of performing experience. He lives just north of Los Angeles, and he is always upgrading and working on his knowledge. During the past 30 years, he’s co-created a 501(c)(3) non-profit dedicated to promoting the folk arts, worked in the Broadcast Industry for many years, and been involved in some amazing re-enactment organizations. Why is this important? He knows a lot of people from performing arts teachers, to costumers and builders of special effects, to dialect coaches and craftsmen and women. He works with those people regularly to make certain that he is bringing the latest and greatest to the CPW workshop line-up. And for some workshops, he can bring in these experts in as guest lecturers to share what they know. He’s always looking for additional speakers and new content for our community. Cat Ellen, aka “Mrs Santa True,” is the editor and brainstorming partner, as well as an instructor on specific topics at Christmas Performer Workshops. She brings over 40 years experience from both on-stage and back-stage as a musician, singer, performer, and actor, as well as professional experience in publishing, courseware development, training design, and teaching. She has been supporting an active Christmas Performer from the back-office and social media support, as well as developing training content designed for this unique industry for over five years. She is also a trained dance instructor, specializing in a group format improvisational technique that appeals to dancers of all ages, sizes, and abilities. It is this unique dance experience she brings to Movement for the Christmas Performer, as well as the needs of older performers or those just learning to incorporate the physical demands of the Christmas season into their own training. There are all sorts of training and coaching methods. Storytelling and re-enacting training depend specifically on your unique personality and innate creativity. Developing the speed and reflexes that you need when you deal with an audience that is directly interacting with you takes a unique skill set. Understanding that creative process and how to help performers organically develop their own unique and amazing characters requires training in a style of coaching that has been developed in the storytelling community for many decades. Every art form goes through periods of evolution. The demands of our craft are continually evolving. Consider this: real bearded Santas rarely, if ever, see each other perform. Unlike magicians, clowns, or other actors, we don’t have good peer feedback systems. Our current methods for passing on information, finding resources, or engaging mentors are very ad hoc. CPW has some fun ideas that can help with that. As a professional Reenactor Storyteller (as True Thomas the Storyteller), researching history and folklore has become second nature to True. And so as Santa True, he works hard to increase his knowledge on Christmas Lore. This knowledge can be used to inspire and “edu-tain” his clients and classes. If you want to create a great back story, it helps to know the story so far!